This year, Mayor William Peduto has proclaimed the week of April 7-10 as “Tekko 2016 Week” in the City of Pittsburgh. Tekko promises to provide anime fans with even more of the best industry-related guests, shows, vendors, artists and expanded programming, in an interactive, engaging and friendly environment. For example, new this year will be TeamTekko TV, a “live” stream of selected events, guests and interviews, etc. Show your Badge Promotion, where attendees receive discounted services from local businesses and The Escape Room, where gaming teams compete in a secured environment aligned to featured themes such as robots, alchemy and ninjas. Special guests this year include Matt Mercer, a Los Angeles-based actor/voice actor known primarily for his extensive roles in animation, video games, theater and improv. Matthew is also the Dungeon Master for the hit Twitch show Critical Role on Geek & Sundry. Other Voice actors include Marisha Ray, Micah Solusod, Chris Patton and Austin Tindle. Also, fashion guests Misako Aoki, Japanese government appointed Ambassador of Cute and model and Lynda Leung, comedian Karl “Uncle Yo” Custer, local musician Nancy Kepner and “Study of Anime” website founder Charles Dunbar. This year’s featured international musical guests will be Back-On, a 4-member hybrid rock band from Japan who made their major label debut in 2005. As well as DJ Bass from Tokyo, Japan who will host Tekko dance events. Mainstay components of Tekko include vendors, artists’ alley, panels, fashion shows, cosplay contests, dance contests, gaming, Tekko Gakkou (School Series) and much, much more. 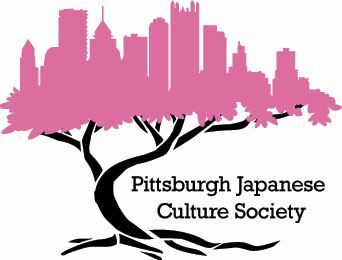 Tekko, presented by the non-profit Pittsburgh Japanese Culture Society, continues to establish a social framework through which anime fans can interact with each other.